Charity should be a lifestyle if we’re patterning ourselves after Jesus Christ. Do I succeed in charitable living? Nope. Not at all. As we get closer to Christmas, awareness for charities will rise. Does this mean we feel more charitable during November and December? Especially when consumerism sticks decorations and the latest-greatest-gadgets under our noses as soon as they get the back-to-school shelves cleared. In recent years, this marketing push has made me relegate thoughts of Christmas to the back burner until later and later in December. Because I truly believe the spirit of Christmas is giving. Back in Bethlehem on that first Christmas, God gave us His only son, born in human flesh and humbled with a manger as a crib. That Son grew up to give His life as payment for our sins, purchasing eternal salvation for us—a gift we could never have gained any other way. But all the media focus on giving to others sounds like another marketing sales pitch. Which doesn’t mean I don’t care about those charities or give to any. In the past, the ladies from our church have filled shoe boxes for Operation Christmas Child. This is a ministry of Samaritan’s Purse that focuses on getting essentials to children in third world countries. It’s sobering to pack a toothbrush, toothpaste and soap alongside socks and a small stuffed animal. I can’t imagine my kids needing a new toothbrush for Christmas because they get them at their semi-annual dentist visits. Oh, the things we take for granted in our First World society. Our church chooses a missionary family to shower with Christmas gifts. We know the ages of his children and purchase gifts accordingly, being sure to include a package for the man and his wife, too. Everyone loves opening presents (don’t they? I sure do!) and that’s part of the excitement of Christmas morning. If we can’t ship the food for a Christmas feast, we send a gift card to a grocery store close to his mission field. How many people don’t have a food or dessert they connect with their Christmas memories? For my sons, it’s the sausage roll-ups I always made for Christmas morning. For me, it’s Russian teacakes. My sister loves the decorated sugar cookies. Traditions are a huge aspect of Christmas, and we want our missionaries to enjoy building them. Christmas isn’t the only time for being charitable. Christians should demonstrate charity every day of their life. A recent project our church began is a barbecue lunch for the first responders in our county. We make a simple lunch (pulled pork sandwiches and smoked chicken) and take it to the main fire station. We box up lunches that someone volunteers to take out to the 911 call center and the outlying fire stations. It’s such a small way to thank these men and women for choosing to serve our communities every day. In fact, they put themselves in harm’s way and don’t stop to think about it. That deserves more than lunch and a thank you, I think. Still, the small things make a big impact. They touch a person’s life and the impression stays with them. Sure, you can offer a coat to keep away the winter chill (and should if you can). However, what about the frozen tundra of the heart that is abandoned and alone during a time of year when it looks like everyone else has family and friends to celebrate with? Charity should reach from your heart to the heart of the person you’re helping. And sometimes, all it takes is to meet their eyes and smile. Who can you thank for their service? Who can you help with a few simple hours of your time? Like what you read? Please click here and I’ll send you access to FREE fiction (and only deliver a hero to your inbox on rare occasions). 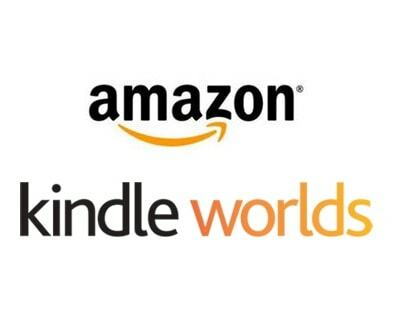 Check out my addition to the First Street Church Kindle World here. Click on the graphic below to enter the giveaway for a Kindle and a gift card.